This package provides an integrated XML-controlled search and add/replace modification system for OpenCart 2.x and 3.x core files. In addition to OpenCart's OCMod XML you can now also use the VQMod XML for describing the modifications. Simply upload the folders and files from the 'upload' directory to your OpenCart server's main directory via FTP. Use the OpenCart admin backend at Extensions > Extension Installer to upload individual XML files to the OpenCart database. The XML file names must end with '.vqmod.xml' or '.ocmod.xml' depending on the type of XML used. This is for OpenCart 2.x only! Use FTP to upload VQmod XML files directly to OpenCart's vqmod/xml folder. The file names must end with '.xml'. Note: Option 4) is useful for many legacy OpenCart 2.x extensions that come as ZIP-files, and that require VQmod. The content of such a ZIP-archive is usually first to be extracted on a local computer, and then everything from the extracted 'upload' folder is uploaded to OpenCart's main folder. Extensions > Modifications and then click on the 'Refresh' button. This will re-create a cache for all modified OpenCart core files in the system/modification folder. 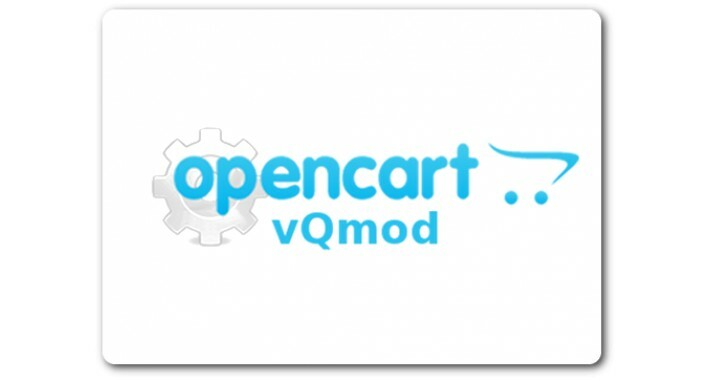 We'll strive to keep the VQMod package up-to-date with future official OpenCart 2.x and 3.x releases. This extension is Copyright (c) 2015-2017 by MHCCORP.COM and is made available under the terms of the GNU General Public License Version 3. Note: Please use the regular OpenCart forum for support.